A wonderful alternative to flower bouquets, potted flowers provide stunning color and eye-catching beauty in any room, and make lovely gifts. LolaFlora's indoor plants range from the classic and elegant to the unusual and exotic, so you are sure to find the plant your heart desires. Easy houseplants to care for, potted flowers can last for years. Whereas bouquets and floral arrangements offer a burst of color and life which can fade in a short time, potted plants retain their vivacity long after they have been purchased. Featuring radiant hues and sumptuous foliage, potted flowers add texture and sculptural design, brightening your home in an unassuming yet striking way. LolaFlora have potted flowers and garden plants to suit any taste and occasion. 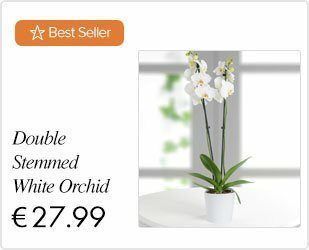 Our orchid varieties are exquisitely beautiful; choose your favorite color or that which represents the meaning you wish to convey. We have pretty orchids in feminine pink, graceful white, rich purple, and even a mesmerizing shade of blue for something a little different. For those who prefer a bolder, more angular potted plant, we have bright anthuriums and luxurious spathiphyllum with enticing deep green foliage. When searching for an extra special gift, why not opt for a bonsai tree to bring a touch of Eastern mysticism into the recipient's home? LolaFlora's professional flower delivery service guarantees you will receive the freshest potted flowers in immaculate condition. 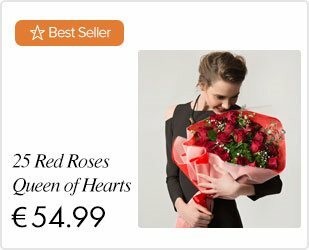 Break away from the traditional celebratory flower bouquets and gift someone you love a floral sensation they can enjoy for years to come.